In two key ways, search engine optimization (SEO) and the law are very similar: Complexity, and uncertainty. Because of this unfortunate situation, getting a clear-cut, definitive answer in either field is often not possible. Here’s why this is the case, in the world of search engines. Search engines like Google or Bing have a difficult task: They need to interpret a search request, and then find the most important and relevant site among the trillions of sites on the internet for that request. It’s a tall order. Google has done this by creating an algorithm, or a set mathematical process, not too unlike the Rules of Civil Procedure. However, instead of dictating how cases proceed through the courts, search engine algorithms dictate how results come up, when you enter a specific search. Google’s algorithm involves its computers looking at a website’s data, like its content, links, and reputation, and then using that data as weights in hundreds of individual factors. Finally, how the website performs in these factors then determines how important and relevant that site is, for a certain search. As if this didn’t need to be more complex, Google’s algorithm is a trade secret. No one outside the Google system knows it, and even the most knowledgeable people in internet marketing and SEO – the people who work to figure out what the algorithm is, so they can use it to help advertise for their clients – disagree on some of the algorithm’s basic elements. It’s as if the federal court system closed the book on the Federal Rules of Civil Procedure, and expected attorneys to figure it out for themselves, literally through trial and error. To make things even worse, this isn’t even half of the uncertainty that permeates the world of SEO. Search engines change their algorithms all the time. Most of the time, they don’t even announce that they’re tinkering with the system. Marketers just wake up in the morning to find that something isn’t working the same as it was the day before. Luckily, most of these changes are small, and only affect a tiny segment of how one of the pieces of the search algorithm works. Google has repeatedly claimed that its algorithm has “hundreds” of pieces, many of which carry lesser priorities than others. 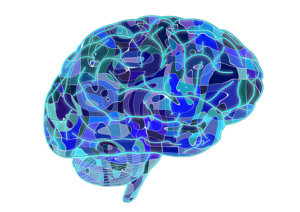 Recently, however, Google announced that it had added a new piece to its algorithm, a piece that it was calling RankBrain. This announcement was likely met with the collective groan of SEO professionals. The next announcement – that RankBrain would be the third-most important piece to the entire Google algorithm – was likely met with abject, horrified, silence. Game-changers like Google’s RankBrain development come relatively regularly to the fast-moving world of SEO, moving the goalposts in a highly-competitive field goal kicking contest. Keeping abreast of the latest developments in SEO is impossible when you have a law firm to run. Unfortunately, major shake-ups like RankBrain change a search engine’s rules, and these can have a serious impact on where your website shows up in the results page. This is where Myers Freelance comes in. By taking a solid, low-risk approach to SEO, Myers Freelance builds your website’s reputation with quality content, pushing it upwards in search results in a way that is nearly immune to rule changes like RankBrain. This entry was posted in Legal Marketing and tagged Algorithms, Search Engines, SEO Developments, SEO Terminology. Bookmark the permalink.